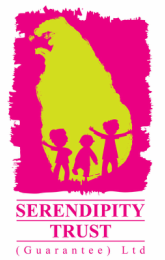 Following the popularity our School's Out Holiday Workshop Program and many requests from kids and their parents the Serendipity Trust will soon be launching a weekly program of workshops for children! These sessions will be run by a variety of talented and experienced workshop facilitators exploring many creative outlets such as visual art, craft, cookery, drama and dance. We are currently getting feedback from past participants to select the most convenient day and time for these sessions. If your child is interested in getting involved please contact us.